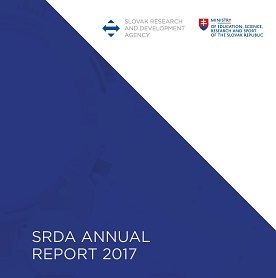 The Slovak Research and Development Agency was established in 2005 pursuant to Act No.172/2005 Coll., on State Support Administration of Research and Development and to Act No. 575/2001 Coll. on Government operations and Central State Administration Structure as amended. The Agency is a state-budget institution linked to the State Budget of the Slovak Republic through the budgetary chapter of the Ministry of Education, Science, Research and Sports of the Slovak Republic and fulfils the Programme Declaration of the Slovak Government whose core priority is formation of knowledge society in Slovakia. to promote high-end fundamental and applied research and development of all science and technology fields including interdisciplinary and multidisciplinary research performed by university sector, state sector of research and development, commercial and non-profit sector of research and development as well as natural bodies research and development in terms of Trade Licencing Act. to meet selected tasks and goals in accordance with a long-term intention of state scientific and technical policy via programmes approved by the Government as per proposal of the Ministry of Education. 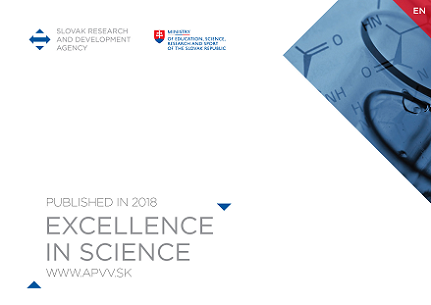 to stimulate participation of research and development entities from the Slovak Republic in international and European programmes and initiatives as well as the support of bilateral and multilateral cooperation in the field of research and technology. Support for research and development projects in particular fields of science and technology (hereinafter R & D) pursuant to § 6 of the Act no. 172/2005 Coll. Applicants of individual projects in basic research and applied research and development. Support of research and development in a "bottom-up" system - it is an open call for proposals in which research and development teams of any field may apply for funding on a project grounds. Support of projects within the Agency’s programmes. Applicants of individual projects in fields focused on research and development support under the government-approved programmes. Support of research and development in order to attain the goals and objectives selected in accordance with a long-term plan of state science and technology policy being implemented through calls that reflect the approved programmes. Projects support of international scientific and technological cooperation solved in the framework of international programs / organizations / contracts co-financed by funding agencies. Applicants of individual projects in the field of research and development support. Support of research and development implemented in the scope and under the terms defined by the relevant international contract, program or initiative. Support of researchers’ mobility on the grounds of international contracts on scientific and technological co-operation. Currently the Slovak Republic has signed international contracts on scientific and technological co-operation with the following countries: Austria, Bulgaria, the Czech Republic, China, Egypt, France, Germany, Greece, Hungary, India, Israel, Italy, Latvia, Poland, Portugal, the Republic of South Africa, the Russian Federation, Serbia, Slovenia, South Korea, Spain, Taiwan, Ukraine and United States of America. Recently the support of research and development is conducted by complementary financing FP7 EU through the call “Dunajská stratégia“ (translated as: The Strategy for Danube Region).